← Nessie: shoot on sight! Every so often the release of archive documents throws up another gem from the bygone era when flying saucers really were taken seriously by world governments. The most recent turned up in a collection of papers produced by Irish diplomats in Washington DC who reported to the Department of Foreign Affairs in Dublin circa 1948-51. The opening of these files is a joint project of the Department of Foreign Affairs, the Royal Irish Academy and the National Archives of Ireland. One document includes a telling reference to the creation of a foundation stone in today’s UFO myth. Interest in UFOs sighted over the United States was intense during the summer of 1950 and Irish diplomats sent a briefing to politicians in Dublin. 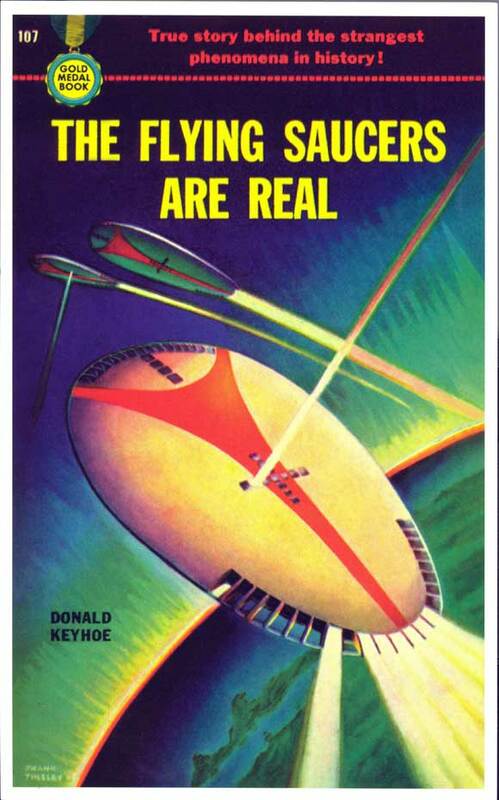 These rumours coalesced in a narrative form with the publication of retired Marine Corps major turned pulp-fiction author Donald Keyhoe’s book The Flying Saucers Are Real. The book sold over half a million copies and is still regarded as a classic by many of today’s UFOlogists. Keyhoe reached three conclusions based upon information he claimed came from highly placed sources in the US government. 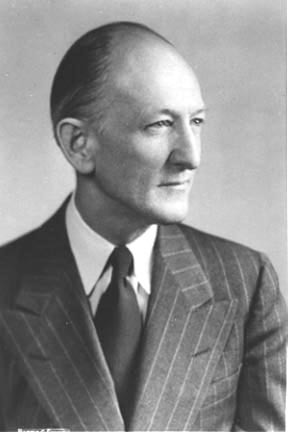 Keyhoe claimed his information was based on official tip-offs from contacts high up in the US Air Force and Pentagon who believed flying saucers came from outer space. In effect a very early version of the popular conspiracy theory often called ‘the acclimatisation programme’. Proponents of this believe that films like Close Encounters of the Third Kind have been deliberately engineered by a secret cabal that knows ‘the truth’ to acclimatise the public to the reality of the alien presence on Earth. They constantly drip-feed us with images, movies and TV programmes about aliens so that when open contact does occur it will seem inevitable. Truther groups like The Disclosure Project thrive on this sort of collective wish-fulfillment. Back in 1950 Irish diplomats were keen to distance themselves from the stories they heard in Washington. One sent a copy of Keyhoe’s book to Dublin with a covering note that read: ‘…the Department will understand that I do not in any sense commit myself to believe in any of the views expressed in regard to these “flying saucers”‘. So is the ‘acclimatisation programme’ factual or mythical? Was the whole story fed to Keyhoe part of a clever psychological experiment engineered by the Mirage Men? And which came first, the movies and TV programmes or the idea? The answer lies within the question. Colin Powell, deputy national security advisor at that time, was well aware of Reagan’s preoccupation with ‘little green men’ and believed he got the idea from the plot of the 1951 science fiction film The Day the Earth Stood Still. This appeared at the height of the first flying saucer scare (source: Lou Cannon, President Reagan: The role of a lifetime, Simon & Schuster, 1991). 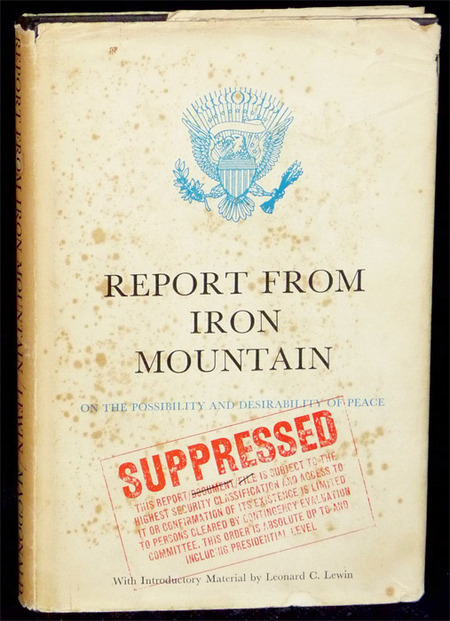 In 1972 satirist Leonard C. Lewin revealed he invented the entire Iron Mountain report as a spoof. One source claims the book was listed in the Guinness Book of Records as the ‘Most Successful Literary Hoax‘. Inevitably some conspiracy theorists believe it is the work of an real top secret committee set up by the US government much like the one imagined by the Disclosure Project. In this version Lewin’s story was needed for damage control when the contents leaked out. Despite the amateurish nature of the MJ-12 documents some prominent UFOlogists – such as Stanton Friedman – continue to act as advocates for their contents. Their commitment to the narrative reflects a deeper truth of the type imagined by Donald Keyhoe in 1950. The appearance of deeper truths are one of the key features that identify this type of story as part of a wider myth. A scholar of religion, Professor Robert Segal, of the University of Aberdeen, says that to qualify as myth it is not necessary for a story to be true or false. But it must express a conviction ‘held tenaciously by its adherents’ and be impervious to scientific scrutiny. Much like the acclimatisation programme itself. This entry was posted in Uncategorized and tagged acclimatisation programme, Anthony Eden, CIA, Colin Powell, Disclosure project, Donald Keyhoe, flying saucers, Guinness Book of Records, H.G.Wells, Kenneth Arnold, Leonard C. Lewin, literary hoaxes, Lou Cannon, Mikhail Gorbachev, Mirage Men, MJ-12 hoax, National Archives of Ireland, operation Majestic 12, Professor Robert Segal, ronald reagan, Roswell incident, Royal Irsih Academy, Stanton Friedman, The Day the Earth Stood Still, The Flying Saucers are Real, The Report from Iron Mountain, The War of the Worlds, UFO cover-up, UFO myth, UFOs, USAF. Bookmark the permalink. Yep, the acclimatisation meme/myth is still thriving in some pockets of ufology and its conspiracy-cousin ‘boiling frogs.’ Not necessarily derived entirely from Iron Mountain, Blue Beam or Keyhoe et al, but alive in its own right and defended by its believers. The ‘disclosure’ guys and the expolitics cultists stand by the idea that some big day will arrive when the skies will shine brightly with the lights of a thousand ships. I travel through the lands of conspiracy all the time and and see these myths at play almost daily. Whether it be the ‘Protocols’ driving anti-Semitism or the anti-Abolitionist myths of race hierarchies, a fair amount of disruption is created by these mistaken ideas. Such is the belief that the faithful can often accept that these documents are false, but then argue that it doesn’t mean they aren’t also correct! One more element shared by them all is the idea that they will attenuate towards a specific day in the future. Whites will be overrun, Jews will rule the Earth and alien saviours will take the reigns as our leaders fall on their swords. I guess they’re all reflective of the psychology of the readers? What we see tends to reflect the way we see the world and other people. Thanks Dr Clarke, this was great! Can I ask one question, and make one observation, though? Question: At what point would you say that the UFO myth/mystery became the UFO “scare”? I’ve seen the 1909 too-good mystery Zeppelins being referred to as ‘Scareships’… but at what point do people begin to see the unknown (or ‘alien’) as scary? Is it just good old-fashioned Xenophobia from the get-go, or what? Fact is, all humans could be gone tomorrow and the planet will go on, and so will most of its life, which often makes me ask the question, are we just special because we can think, and that we think we are special? That said, IF, life is only on Earth, are we the caretaker of it, our mission to take it to the stars and beyond? You’re right about that question of perspective, erique. It’s very egotistical of us to assume that civilisation has to be ‘us’, or something that grows out of our current society. I suspect that humanity as a whole would be very hard to wipe out, and the survivors will still have what it takes to try again. But that’s heading into science fiction territory – as these things so often do! Morgan, IF life on earth is all there is in the universe, would we have a duty to send it to the stars to make sure it doesn’t go extinct? Do we have the right to ‘pollute’ virgin worlds, whether or not life exists there or not? It is a conundrum, especially considering we can never really know if life DOESN’T exist elsewhere; I love the romance of our sending some form of life to other worlds to carry the baton, as it were.